You probably already know – or at least strongly suspect – that Wall Street is rigged. And not in favor of the little guys and gals like us. Let’s start with the movie you must see if you have any money invested in the market (or need a reminder of why you yanked it out in the first place). The Big Short is based on the New York Times best seller by Michael Lewis. The main characters are played by Brad Pitt, Ryan Gosling and Steve Carell. Is there a connection between your physical health and your financial wealth? When you’re not in good health, you’re not as effective on the job, in your investing strategies or at home. Often, the price we pay for inattention to the care and feeding of our bodies doesn’t become evident for years or even decades. However, when the tab finally does come due, it is often shockingly high and can instantly erase a life’s worth of careful financial planning. Diabetes… a heart attack… cancer can all drain tens – or even hundreds – of thousands of dollars out of your pocket over time. Other tolls, such as worry, insecurity and loss of companionship, can’t be measured in dollars. I’ve been a “health nut” for decades – reading and learning voraciously about ways to prevent and cure illness without relying on drugs, surgery or other invasive, debilitating procedures. What I’ve discovered is that there is a whole world of natural alternative cures that you and I weren’t being told about. Which is why I want to introduce you today to Dr. Stephen Sinatra – the world-renowned cardiologist and nutritional expert who’s advice my family has found incredibly helpful and effective. I was really excited when one of the largest consumer newsletter publishers in the world, Agora Publishing, asked me to be the Editor-In-Chief of The Women’s Financial Alliance, a new publishing franchise dedicated to helping women grow their wealth safely and enjoy a richer lifestyle. We launched a free e-letter – The Women’s Financial Edge – at the beginning of May, and it’s being extremely well received. We’ve already been featured in USA Today, CNBC, Huffington Post, The Detroit Free Press and more. If you haven’t already subscribed, you can do so here right now. And when you do, you’ll be able to instantly download our Bonus Report, The Best-Kept Secrets of Successful Women. Do Women Really Need or Want Different Financial Advice than Men? I’ve just been named one of the 30 most influential people in personal finance and wealth, and I wanted to share the exciting news with you! Starting with a field of more than 1,000 finance experts, the study (commissioned by MoneyTips) used a rigorous process to score and rank each expert to whittle it down to a ranked list of the top 30 influencers in wealth and personal finance. I’m ranked #19 on this list of the Top 30 social influencers impacting Americans’ financial lives. The list was published last week on the Huffington Post, titled, What the Top 30 Personal Finance/Wealth Influencers Know That You Don’t. I was also one of a handful of the top experts quoted in the article. I am very gratified by this acknowledgement. For the past decade I’ve devoted my life to educating people about alternatives to traditional investing and retirement planning that have enabled hundreds of thousands of people to stop using the crystal-ball-hope-and-pray method of financial planning and start knowing how good their financial future can be. And I’ve learned several important lessons along the way – I’ll share the most important one with you in a moment. At the end of my circus adventure (if you missed the story about my riding an elephant in a skin-tight gold sequined leotard, you can read all about it here), I returned to Sarasota, Florida. And I have to confess, I was beginning to feel a little restless. My dating life was non-existent and I couldn’t afford to keep buying men (it’s not what it seems!). I had been working as the sales manager for a specialty publication for three years. Work was fine, but not very exciting and not something that I was passionate about. All in all, my life was okay. Just okay. Yawn! Is Pamela Yellen related to Janet Yellen? People often confuse me – Pamela Yellen – with Janet Yellen, the former chairman of the Federal Reserve. I can understand the confusion – we share the same relatively rare last name (“Yellen”), we’re both women in finance (a male-dominated field), and we’re only six years apart in age. But that’s where the similarities end. Alas, I am not hopeful about the future of the economy with Ms. Yellen or Mr. Powell at the helm. The Fed is still printing money 24/7, forever blowing asset bubbles (and the inevitable bursts that follow), and throwing seniors and savers under the bus by keeping interest rates artificially – and dangerously – low. Of course, if this strategy works so well, why did we experience the slowest rebound from a recession in memory (if not in history)? Bank On Yourself Revolution hits New York Times best-seller list! I just found out my new book, The Bank On Yourself Revolution, hit #4 on The New York Times best-seller list the first week it was released! It also hit #1 on Amazon and the Barnes & Noble website. And it hit the USA Today best-seller list. Order your copy here today and save 27%! One week after the book was released, my publisher had to rush to do a second printing, because they said the book has been flying off the retailers’ shelves. I’m incredibly gratified by this response, as I poured my heart and soul (along with a lot of blood, sweat and tears) into this book. If you haven’t gotten your copy of The Bank On Yourself Revolution yet – or you’d like to get additional copies for friends and relatives – why not grab yours now, before the current stock runs out? Order The Bank On Yourself Revolution at a 27% discount right here. Seems like every time I turn around there’s yet another scam artist on Wall Street ripping us off! Everywhere I look, some financial whiz kid is making a buck for himself out of the hard-earned dollars of everybody else! So I decided to check it out and track the scandals of banks and Wall Street for just one month. I picked August (August, 2013), because, heck, it’s summertime and things should be pretty slow on the scams, scandals and shenanigans front, right? I mean, aren’t all those guys off in their multi-zillion dollar summer homes in the Hamptons or the Caribbean during August? Kinda like Congress where nothing at all happens when they go on recess? Turns out the answer is yes and no. Yes, they were off vacationing, but no, that didn’t slow them down. In this should-be-sleepy month of August, I found dozens of reports and articles that made me cringe, cry, gnash my teeth and spit! #1: When It Sounds Too Good to Be True, It Is! SAC Capital Advisors is accused of running a corrupt hedge fund. Evidence of insider trading is substantive, though SAC claims that it was “hard work and know-how” that created the firm’s 30% annual returns over the past couple of decades. The indictments against the firm say otherwise. But oddly, Steven Cohen, hands-on manager and founder of the firm, isn’t named in the indictments. Gosh and golly, it turns out he “doesn’t read his emails” so isn’t responsible. In fact, this month Cohen threw a lavish party at his ten-bedroom, 9,000-square-foot home in the East Hamptons while those of us without insider information fired up burgers on the grill. 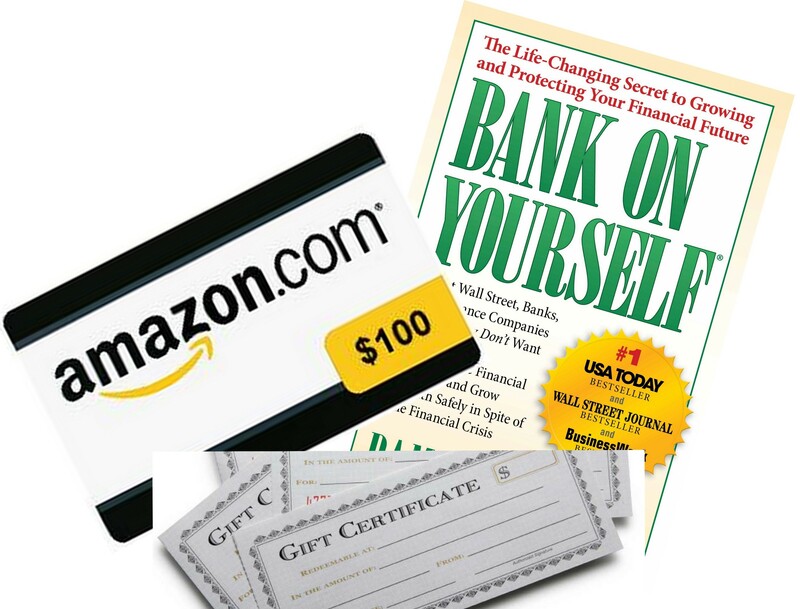 You can win one of six valuable prizes by participating in our “Test Your Money and Investing IQ” blog contest – just enter your answer in the comments box below by midnight Monday, November 14. At a dinner party recently, I sat next to a retired business owner and we got into a conversation about money and finances. Actually, it’s fairly common that I meet highly educated people who are unaware of some of the really critical basics of how money and finances work. Funny thing is that I think many of our subscribers know these principles, even if they don’t have alphabet soup after their names. Applying a little logic and common sense (which is admittedly in short supply in our society today) is usually all that’s needed. And to prove my point, I’m holding a contest to see how many of our subscribers can answer the questions below correctly. If you answer even one of these questions correctly and/or insightfully, you can win a prize. I know that people deepen their understanding more when they participate and articulate their thoughts, so I decided to “ethically bribe” you to take a shot at it by holding a contest. Just type in your answer to any one or more of the five questions below, no later than Monday, November 14, at midnight. If you want, you can comment on someone else’s answer to qualify to win. After the contest ends, our team will pick the best entry (best because it’s correct, insightful, entertaining or a combination of those). That person will win a $100 Amazon Gift Certificate. And two runners-up will be chosen to receive their choice of a $25 Dining Gift Certificate, or a personally autographed copy of my best-selling book. Although there are five questions, you don’t have to answer all of them to qualify. If you finance a $30,000 car through a finance company, your actual cost for the car is the money you spend on it, plus the interest you pay, less the value of your trade-in at the end of your loan repayment period. Question: If you pay cash for a car, what’s your actual cost for the car? According to Morningstar, Inc., the top-performing mutual fund for the last decade (ending December 31, 2009) enjoyed an 18% annual return. However, the typical investor in that fund wasn’t so fortunate. Question: What was the annual return of the typical investor in that top-performing fund? And why was their return so different from the return reported by the fund? TIRED OF WATCHING YOUR FINANCIAL PLAN GO NOWHERE? Find out how the Bank On Yourself method can give you the financial security and predictability you want and deserve. It’s NEVER had a losing year in 160 years! Take the first step right now by requesting a FREE Bank On Yourself Analysis. Wondering where you’ll find the funds to start a plan? Don’t worry! You’ll receive a referral to one of only 200 advisors in the country who have met the rigorous requirements to be a Bank On Yourself Authorized Advisor and can show you where to find money you didn’t know you had to fund your plan. What percentage of mutual funds, financial advisors and investment advisory services underperform the overall market? And why? You could have $10,000 in a mutual fund that reports an average annual return of 25% for four years… and at the end of the fourth year end up with only the $10,000 you started with. So there you have it – just answer one or more of these questions, or comment on someone else’s answer, no later than midnight, Monday, November 14, to get in the running to win one of the six prizes! We’ll announce all the winners in a blog post later this month.